Over the past 10 years we have formed lasting relationships with a long list of preferred vendors. Let the buying power of the LeaderBoard Partners network work for you. Request more information and a proposal. 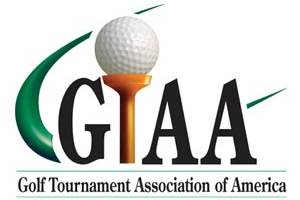 A series of golf tournaments across North America first launched in 2010. Opportunity to qualify to play in the National Finals at Pinehurst Resort. Unique memorabilia selections to fit every budget. Each framed piece is hand crafted and proudly made-to-order. Premier digital printer with a focus on items to make your golf tournament stand out from the competition. We have partnered with them for the past 10 years. The GTAA assists organizations who are planning charity golf tournaments. Our Certified Golf Tournament Consultants will help you develop an entertaining and profitable fundraiser. Custom club manufacturer and source of the FREE club certificate program. Great coverage of the New England golf scene. Flip it over for national coverage. Sign up for their FREE Golf Promotion at more than 40 courses throughout the region. A premier destination travel company with trips to fit every budget provided on a no-risk, consignment basis for your live auction. Check out the latest trips and Whats Hot! Custom Silk Screening and Design Firm. High quality cigars and the Gina girls are a great addition to your event. Great for fundraisers and corporate outings. Golf Town has entered the US in a big way with 6 stores in MA. We are pleased to partner with them to provide all major brands of golf merchandise. Custom fitted Cabretta leather gloves for each of your players. Includes full-color logos to showcase your organization or sponsor. Polara Golf uses the most advanced technology to create antislice golf balls and golf accuracy products that teach recreational golfers how to improve their golf game. Golfers Love It! Get A Grip On Your Club. Even on hot, summer days keep your hands dry and help to prevent any slipping. Spray on both hands before your round and maintain your grip without added pressure. Washes off with soap and water. Use Mulligan Grip Enhancing Sunscreen Wipes. Made for golfers by golfers. Full spectrum 30 SPF UVA/UVB sunscreen in convenient single-wipe packaging. New England’s golf marketing company. The parent company that launched The Little Black Book of Golf and the unique Hickory Heritage Media Golf Classic. Personalized Water Bottles for your Events. Added bonus, a charitable donation with each sale. Play private golf courses in the network. A full service apparel company offering quality products and service for a great price. Custom embroidery available on all items. For a great value in stylish sunglasses manufactured in the U.S. Well known for quality lenses.